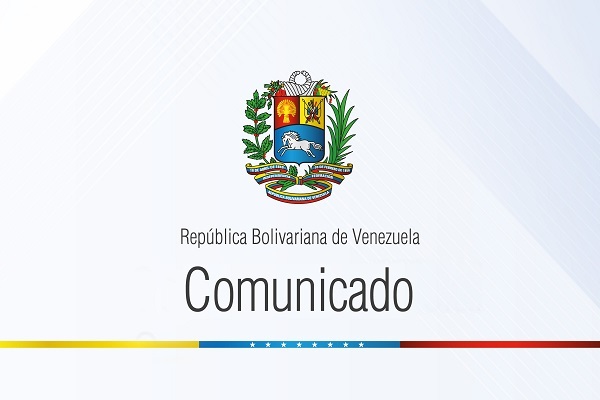 The Government of the Bolivarian Republic of Venezuela denounces before the international community and the peoples of the world the impudent and criminal violation of the International Law and the Charter of the Organization of American States, during the Extraordinary Session of the Permanent Council of the OAS held on April 19th, 2019, in which a group of Washington satellite Governments have endorsed a political puppet appointed by Donald Trump. It is one of the unfortunate decisions made in the long-standing history of legal and political outrages of the above Organization, and a vulgar blackmail and pressure against the member States in order to satisfy the desires of Washington neo-Monroe policy. Along with the illegal approval of a political puppet, whose spurious existence resulted from the transgression of the legal order of the Bolivarian Republic of Venezuela, the OAS validates the coup plan initiated last January 23rd, and intends to create conditions in order to deep the interfering aggression against our country, including the threat of a military intervention. With this decision – bringing the OAS into more and more disrepute and lawlessness- the US and its satellite Governments demonstrate that they never counted on the required majority of the member States to attack Venezuela and, at the end, they were forced to take away from the organization all its principles. The Bolivarian Government of Venezuela, faithful to its republican and democratic principles, its Constitution and International Law, emphasizes that it shall not acknowledge any political emissary, whatever the entitlement or appointment granted before the OAS, that has not been appointed in accordance with the constitutional provisions, meaning, by the highest representative of the National Executive Power and Head of State of the Bolivarian Republic of Venezuela, President Nicolas Maduro Moros. In that sense, the Government of Venezuela informs that every action, decision and/or agreement bilaterally or multilaterally adopted before the Organization of American States with the participation of a political puppet usurper, shall be considered by the Venezuelan government as a null and void act. Therefore, the Venezuelan State shall not be obliged to fulfill any of the provisions agreed upon with a proconsul appointed by Washington, much less to compensate in any area, a State or group of States that engage with illegitimate representatives who pretend to act on behalf of the Venezuelan State, without ignoring the bilateral and multilateral treaties and agreements previously agreed by the Bolivarian Republic of Venezuela. Before the evident failure of the coup initiated last January, Trump’s administration has moved its political pawns in the continent in order to bring down the democratic will of the member States and give legal character and doubtful oxygen to the aggression against Venezuela. Washington has forced a criminal decision and initiated a dark route that shadows the future of the relations between the States in the continent. The Government of the Bolivarian Republic of Venezuela confirms its unwavering decision to abandon the Organization of American States next April 27th, 2019, in accordance with the demand made two years ago and within the framework of the relevant procedures, considering that the Bolivarian Republic of Venezuela can no longer be a member of an organization kneeling before the imperial and supremacist interests of the US administration. In Caracas, home of liberators, April 9th, 2019.